Here’s why Families and Couples on Vacation Choose Luxury Vacation Rentals over Hotels. Many times it’s business as usual when planning a vacation to Lake Tahoe and Truckee, hop on a travel website and look for the best deal on a hotel or motel. Now as we all know most of these hotels and motels may offer additional amenities such as on site restaurants etc. But the truth is that hotel and motel accommodations lack for more than they offer. Hotel rooms are small averaging 400-800 sq ft (Compared to vacation homes that range from 800-10,000 sq ft). If you have a family a hotel room is going to be cramped. And usually these hotel rooms offer no kitchen or refrigerator. Now if you have a family of 6 you most likely will have to get two hotel rooms and with small children this can be a major hassle and expense especially in peak season. Trust us… free breakfast and internet doesn’t cover the added hassle. Also, hotels and motels can be very crowded and loud. You never know who is going to be sharing a wall with you and sleep can be tough if you have a loud neighbor and thin walls. So what do you do? We would suggest you investigate a vacation rental property. 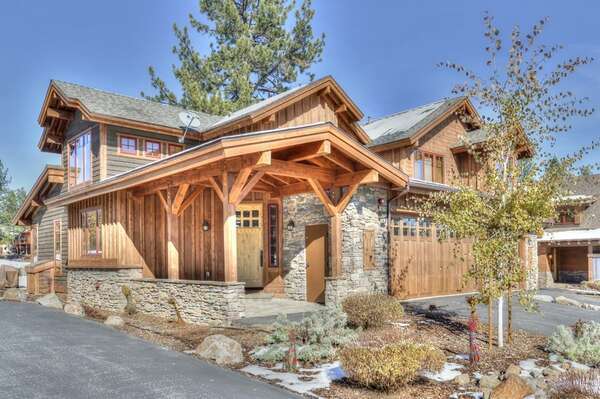 The homes and cabins in Lake Tahoe and Truckee are beautiful. Most offering wonderful spacious floor plans, amazing views and a true family environment that offers space to enjoy and privacy galore. Families who travel for vacation do MUCH better in a vacation rental. You can BBQ on the deck for dinner, if your home has a pool you can swim or take a dip in the hot tub. And some homes offer game rooms, free internet, video games and big screen TV’s. 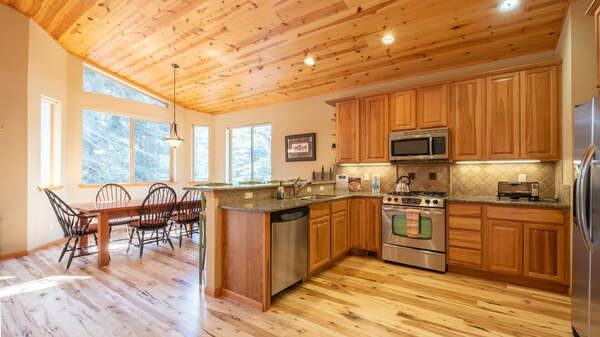 As for breakfast, there is nothing better than cooking a nice breakfast with the favorite food you bought or arranged to be delivered stored in your own full size refrigerator and sip your morning coffee overlooking the beauty of Lake Tahoe while you get ready to enjoy your day of outdoor adventure. At Tahoe Signature Properties, we specialize in Luxury Vacation Rentals in North Lake Tahoe and Truckee and the rental properties we offer are a cut above the norm. Beautiful furnishings, excellent locations, spacious floor plans and top notch amenities will make your vacation experience to North Lake Tahoe and Truckee one you will never forget. As for price, we think you will be very impressed with the value you receive for the amenities our homes offer. We invite you to see for yourself. You will never stay at a Lake Tahoe hotel again once you experience the luxury our vacation homes offer. Tahoe Signature Properties offers Luxury Vacation Rentals in North Lake Tahoe and Truckee and we are also a Full Service Luxury Property Management Company offering the best Customer Service for our Luxury Rental Property Owners. Our fees for our Property Management services are very competitive and when you add in our State of the Art property management software and our superior attention to detail and customer service, there is no finer choice than Tahoe Signature Properties. 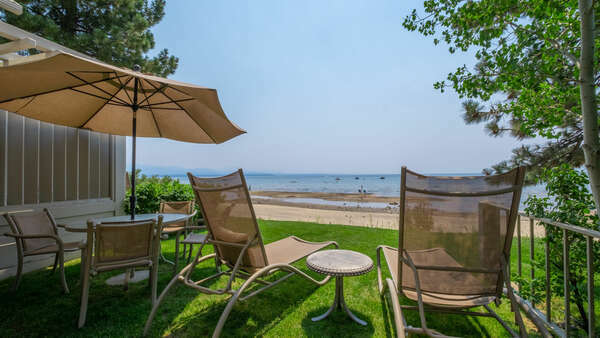 Call our Vacation Rental Specialists at 530-214-0484 for more information or to book your next vacation in one of our North Lake Tahoe and Truckee Rental Properties, browse our vacation rentals. We’ll see you in Tahoe!